No, it's not a Renee Erickson restaurant. She has enough stuff going on already. 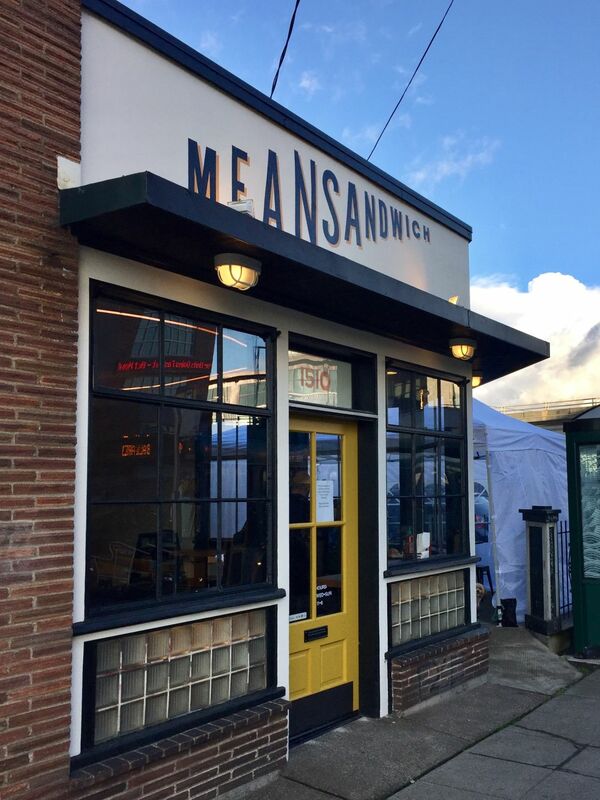 Since opening its doors on Leary Way in 2016, Mean Sandwich has proved itself one of the most intriguing sandwich shops in the city. Its latest turn of events is pretty intriguing as well—owners Kevin and Alex Pemoulie have sold the business to Dan Crookston, an erstwhile tech guy and former oyster salesman for Hama Hama, though he should also be familiar to anybody who follows chef Renee Erickson's Instagram; Crookston is her husband. The interconnectivity of Seattle's food scene is on full display in the backstory: Crookston had been looking for a place where he might open a burger shop. Meanwhile, the Pemoulies had both added full-time day jobs to their lives and felt overwhelmed and ready to step back from the sandwich shop they had built. By day, Alex Pemoulie is the finance director for Erickson's Sea Creatures restaurant group (thus the past year has kept her plenty busy). At some point she mentioned the struggle of balancing all these roles to Erickson, who connected the Pemoulies with her husband, a zealous sandwich fan who already loved their shop. And Crookston's plans for a burger shop took a swerve. But the way he parses it out, this all makes sense: "Sandwiches are my favorite food, but burgers are my favorite sandwich. I can always put a burger on the menu. Not a problem." So, yes, look for a dry-aged burger to join the menu, and most likely an oyster po'boy, given his bivalve bona fides. Otherwise, Kevin Pemoulie's creations, like the house corned beef and the steak tartare club, will live on. So, thank god, will the "skins and ins"—a bit of side dish magic that consists of chunks of seasoned, fried baked potato beneath ample, stoner-worthy toppings. Crookston's other plans involve maximizing that awesome backyard, engaging a bit more with the neighborhood, especially via music events and festivals, and obtaining a liquor license to round out the natural wine and local drafts. "One of my favorite things is a shot and a beer," he says. After a bit of spring cleaning, Crookston is up and running with his new sandwich shop, and plans to make it a family affair with help from his two brothers. The Pemoulies are hopefully spending a little more time with their daughter and, well, sleeping. Their conversations with Crookston about buying the business lasted more than a year, says Alex Pemoulie. "We feel super grateful that Dan is stepping in. We're genuinely excited to see what he can do there."